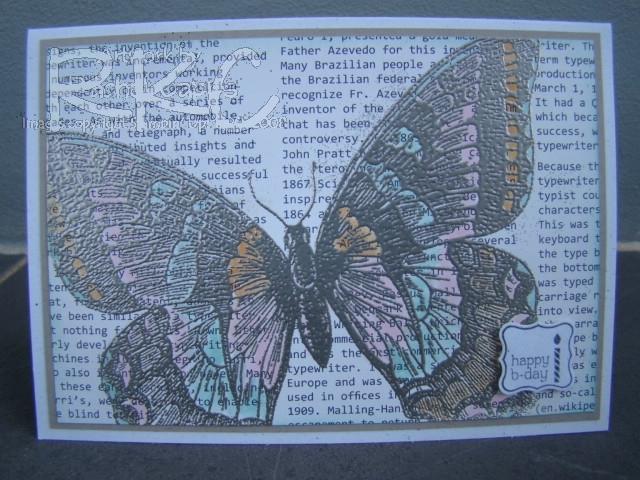 I had a class a while ago where one of the cards we made was with the Swallowtail stamp. 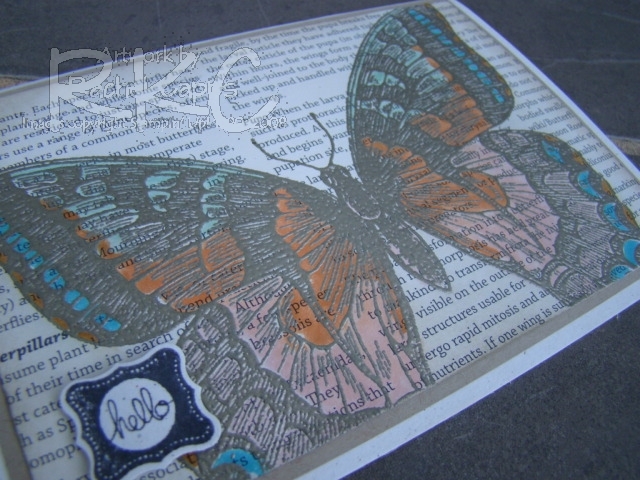 I heat embossed it with Pewter embossing powder, and I must admit, I hope Stampin’ Up! 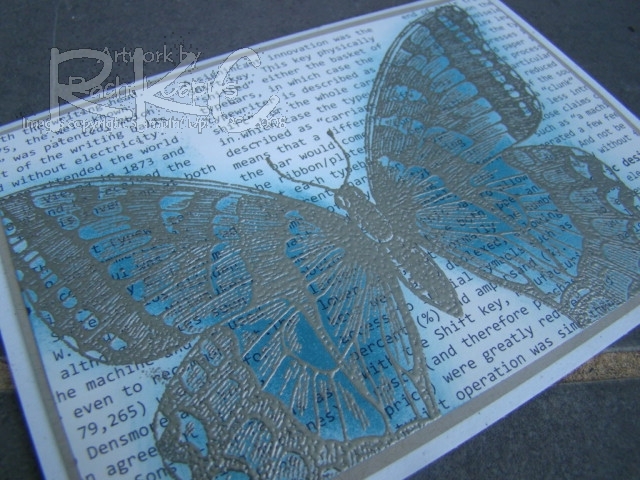 don’t ever retire Pewter embossing powder – it’s a gorgeous colour! 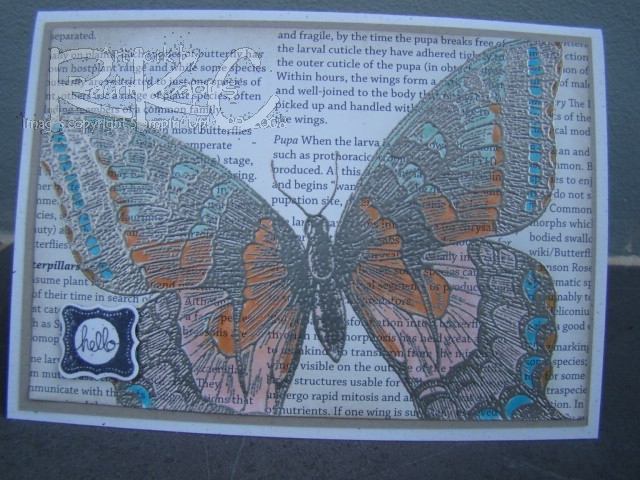 And I love how it looks embossed over First Edition Specialty paper. 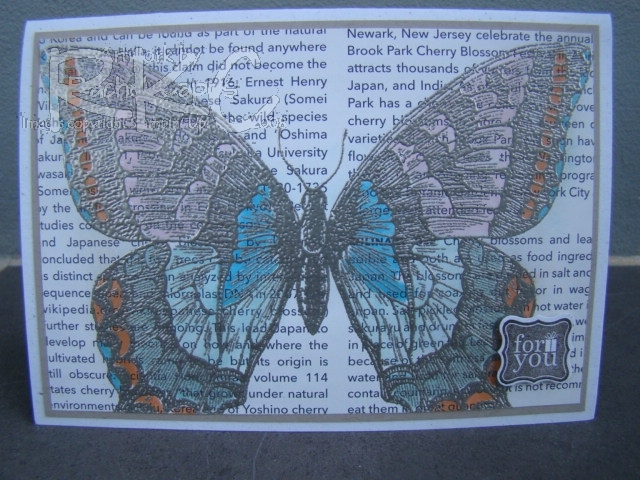 The card above was made simply sponging Island Indigo ink over the embossed image of the butterfly – love this effect! 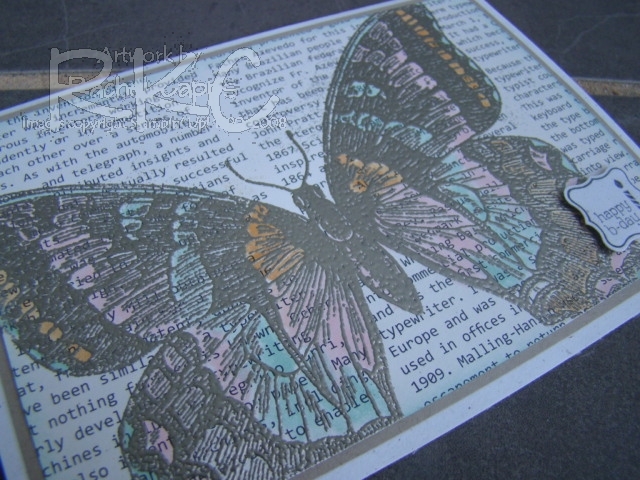 The cards above were made using a combination of blender pen colouring and using my marker pens to colour. 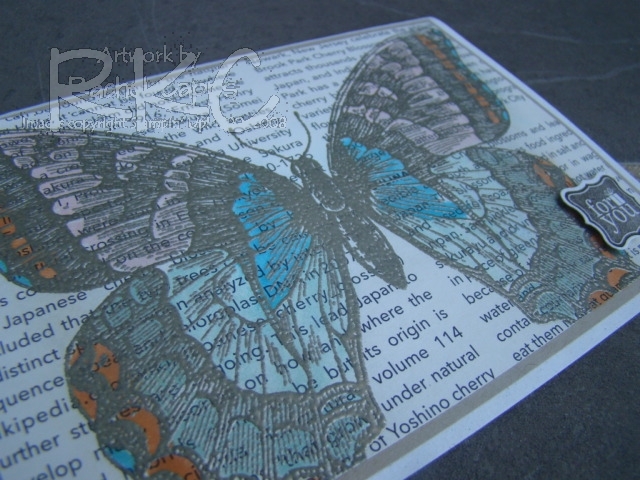 Lastly, I made a card with white embossing powder and used my marker pen to colour it in. Honestly, I shouldn’t have coloured this card in. 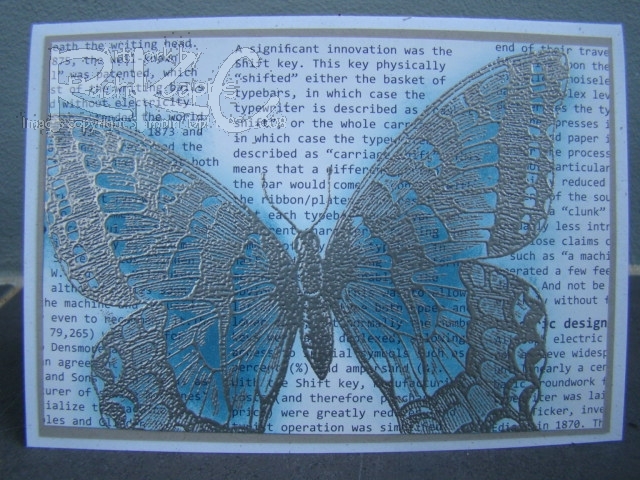 It’s not good enough by my standards and would have looked better had I just left it embossed, not coloured, clean and simple. 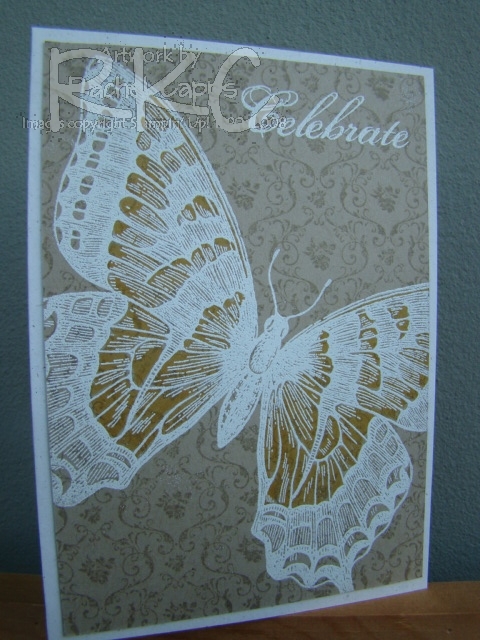 The white heat-embossed sentiment was from the Sale-a-bration stamp set, Feeling Sentimental.